Courage is a powerful word, which shouldn’t be used lightly. 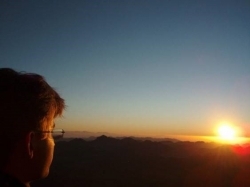 This week, Skogfjorden dean Tove Dahl discusses why the word courage is so important and how we can use it to acknowledge acts of confronting substantial risk in pursuit of a noble goal. Across languages and within cultures, we send you inspirational thoughts in our 15 world languages as we celebrate the holiday season. Global citizens must engage with the political, cultural and social issues that transcend borders in our 21st Century society. Tomorrow, U.S. citizens have the opportunity, and the responsibility, to act on their beliefs and to vote. In honor of the occasion, we highlight Dan Hamilton’s recent opinion piece in the San Francisco Chronicle on the legacy of German Chanellor Angela Merkel. 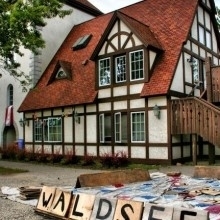 Dan Karl Hamilton is the dean of Waldsee, the German Language Village. In 2017, two Sjölunden counselors from opposite ends of the political spectrum wrote WorldView Blog’s most shared post ever. 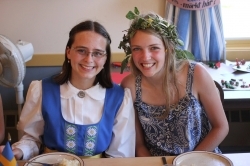 One year later, we reconnect with Helena and Britta to learn more about their friendship and courageous conversations across ideological divides. 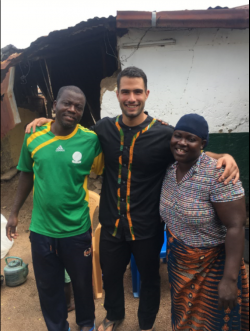 This week, the WorldView blog is proud to showcase Concordia Language Villages’ partnership with the Singita Grumeti Fund bringing English language immersion to students in Tanzania. Nicole Anderson, lead teacher, shares her experiences of teaching language and learning about conservation on the Serengeti. ​The Concordia Language Villages team share fun holiday traditions from around the world. How Do You Celebrate the Holidays Abroad? Sometimes the holidays find us far from home, perhaps even in another country where our traditions and celebrations are foreign to our neighbors and friends. 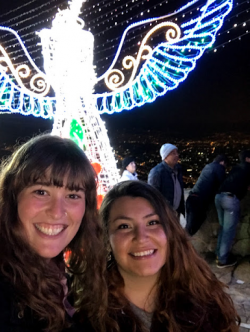 In this touching piece, freelance writer Michael Nevadomski shares his experience celebrating Thanksgiving and Christmas in Egypt. 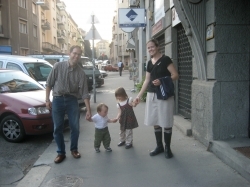 Does the idea of travel or life abroad as a family sound a little daunting? Taking the leap to live in a new country with children is a powerful way to experience a culture and gain a new perspective on the world. ​Positive solutions to complex issues start with good conversations. But what is a “good” conversation, and how do we help them to happen? At Concordia Language Villages, a simulation called the World Café allows staff members to practice honesty, vulnerability, and respect as they discuss global issues. What would an English language immersion camp look like in Russia? Lara Ravitch and her team are on a mission to find out. 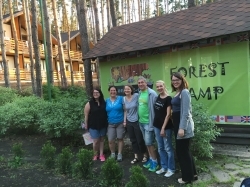 Through an exchange with Forest Camp in Zadonsk, Russia, the staff of Lesnoe Ozero are working to improve the cultural experience for language immersion campers on both sides of the world. Maybe working in a foreign country isn’t so foreign. Jackie Jacqueline Mauer shares her universal rules that have carried her, thus far, from a small town in the Midwest to rural Central America. 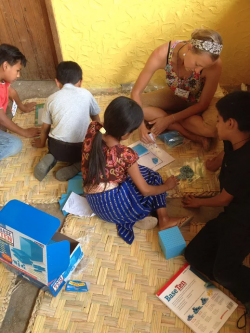 One of the best ways to learn language is engaging in informal, relaxed conversation with native speakers…a teaching technique employed in the Language Villages on a daily basis. This is great preparation for landing in a café in another part of the world. 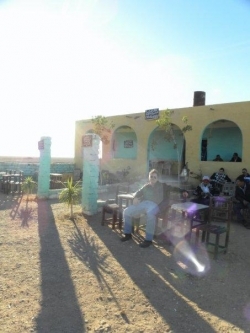 In this brief primer on traditional (and Westernizing) coffeehouse culture in Egypt, freelance journalist Michael Nevadomski explains coffee culture, Egyptian-style and his discovery of how the ahwa advanced his understanding of Arabic. 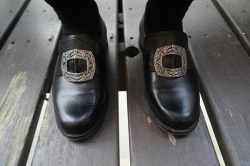 These shoes are important and say a lot to those who know what they are. What do you know about them? I have a secret. It is encoded in my language. It is an expression of who I am. It is an expression of where I come from. It is my culture. My culture is the keeper of my heritage and serves as a personal compass, guiding who I am and who I can become. It is my home. 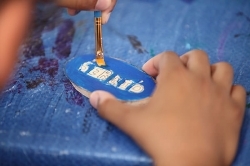 Villagers choose names and personalize their nametags on their first day in the Village. What’s in a name? As Juliet would remind us, a rose by any other name – ‘rosa,’ ‘méiguī,’ ‘rouzu’ – would smell as sweet. 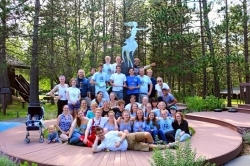 As part of the first-day activities at Concordia Language Villages, villagers and staff alike choose a name typical of the culture(s), adding to the sense of having crossed a border into a distinct and special place. And the names that villagers and staff members choose are, often, sweeter for the opportunities to grow that come with those new names. “Language” is our middle name, but the real point of what we do as teachers and counselors at the Villages is to make villagers aware of themselves and their cultures, and then help them begin to grow into global citizens who are capable of deep other-awareness. 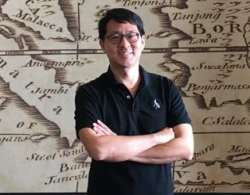 That happens through language and cultural immersion where language learning is the vehicle to explore new experiences, to expand your knowledge of the world, and to have fun.